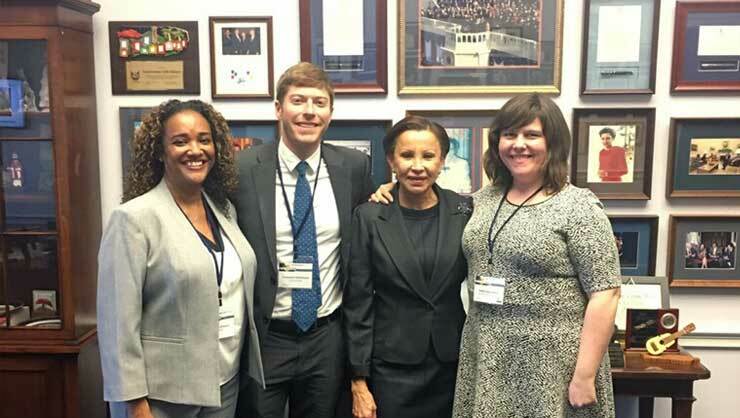 We had the chance to talk with Rep. Nydia Velazquez (second from right) herself! 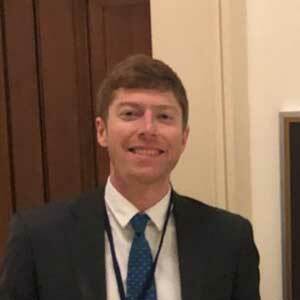 Many new members of Congress began their tenures this past winter, so it’s a key time to make sure that the voices of international exchange supporters are heard. 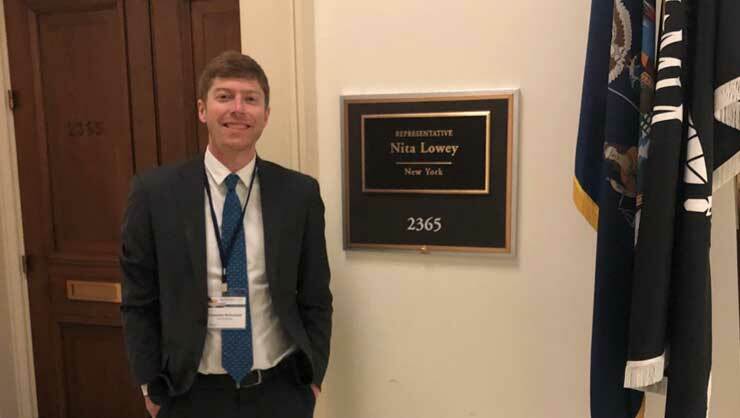 That’s why eight InterExchange staffers, myself included, traveled to Washington, DC back in February to take part in the Alliance for International Exchange’s Advocacy Day. We joined our colleagues from across the exchange community to tell our Members of Congress why exchanges matter. And advocacy for exchange programs can happen outside of Washington, DC too. That’s why, for the past few weeks, the InterExchange team has been gearing up for the Alliance’s annual Exchange Week in the District, which kicks off today! Throughout Exchange Week, the InterExchange team and our colleagues will be visiting our Representatives across the country to shine light on international exchange programs, like Work & Travel USA, Au Pair USA, Camp USA and Career Training USA, among many others. During our meetings at home in New York, for example, we’ll be highlighting that our state hosted more than 31,000 exchange visitors in 2017! 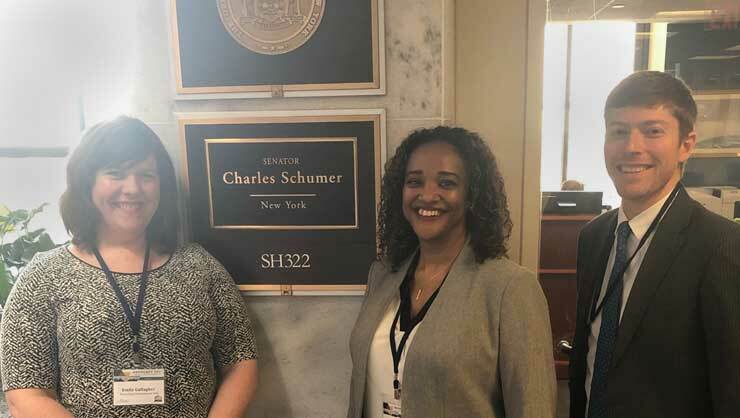 As I did in my Advocacy Day meetings with the offices of Sen. Chuck Schumer, Rep. Nita Lowey, and Rep. Nydia Velazquez, we’ll discuss the positive economic impact that international exchange programs have in the state ($37M contributed to the New York economy by Summer Work Travel participants for example! ), as well as various internships, traineeships, and cultural activities occurring in local districts. We’ll also talk about how international exchange programs are an important tool for America’s public diplomacy. One of the highlights for me at Advocacy Day was hearing from Marie Royce, Assistant Secretary of the Department of State’s Bureau of Educational and Cultural Affairs (ECA). She emphasized the importance that exchanges play in supporting U.S. national security and diplomatic interests, strengthening the economy, building job skills of U.S. and foreign exchange participants, and fostering mutual cultural understanding through lasting personal and professional ties. We delivered all of these messages during Advocacy Day in February, and we’ll do so again throughout Exchange Week in the District! Being an advocate for exchanges is a new activity in my professional portfolio. While it may have seemed intimidating at first, I can attest now that this is something that anybody who is passionate about cultural exchange, travel, and people-to-people diplomacy can and should do. Call or email your local representatives to tell them about how exchange programs have impacted you, your family, your business, and your local community. You can find your Members of Congress’ contact info here. Post your exchange experiences, messages of support, and photos to social media. Tag the local members of Congress where you live or had your exchange program experience by using their social media handles. If you post this week, use #ExchangeWeekDistrict! Let InterExchange help you make a plan to support exchange programs in 2019 and beyond! Tammen Nicholson is the Program Manager for Career Training USA.